The Rihana Dahabiya Nile Cruise is a deluxe Dahabiya Cruise between Luxor and Aswan. The Dahabiya is powered by wind. Relying on the river currents and a gentle breeze, this is the traditional way to cruise the Nile. A small river tug can help if the natural elements fail. The Dimensions: 50m (length) x 7.5m (width) x 0.8m (draft). Meet & assist at Luxor Airport or station & transfer to your Dahabiya Nile Cruise. 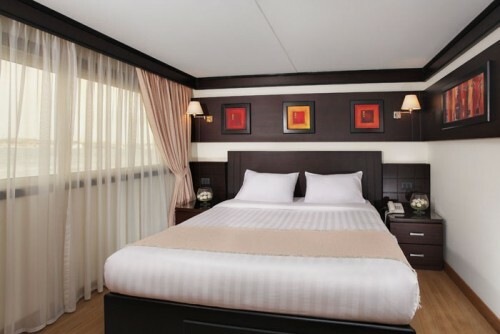 Accommodation on first class Dahabiya Nile Cruise including breakfast, lunch & dinner. English speaking guide during your tours. Free cell phone during your Dahabiya Nile Cruise (charged 30 minutes local) & 03 minutes international to keep in touch with your tour operator.